OLED (Organic Light Emitting Diode) is a new display technology that is brighter, more efficient, thinner and feature better refresh rates and contrast than an LCD display. 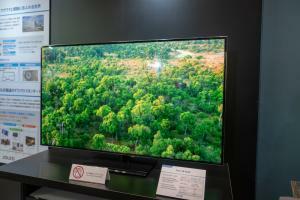 OLEDs deliver the best picture quality ever and are used in high-end smartphones and tablets. 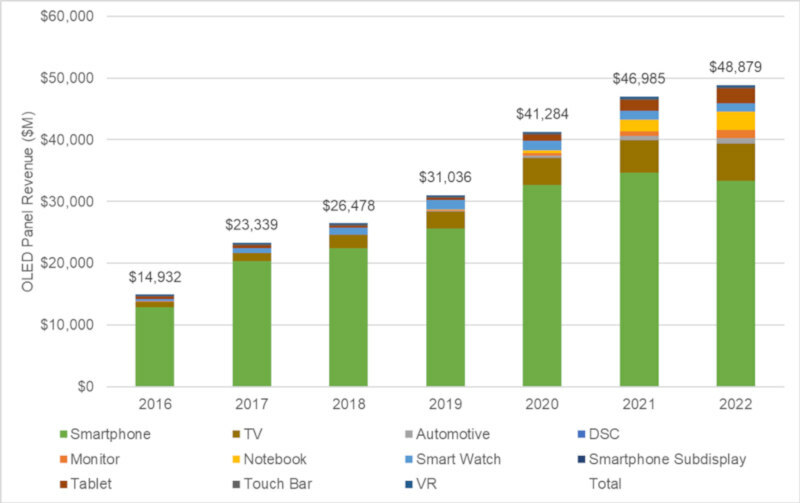 The idea of an OLED monitor is exciting consumers as such a device will offer an unparalleled viewing experience and a thin form factor. But OLED monitors are not on the market yet. This article will explain the benefits, the current status and the future of OLED monitors. Why is an OLED monitor better than an LCD one? OLED monitors and the burn-in challenge? Of course OLED technology is not perfect. One of the major drawbacks of an OLED display is image retention / burn-in. In an OLED display each pixel is driven independently and each pixel ages differently - the brightness is reduced with use. To put it simply - a pixel that was used a lot will be less bright than a pixel that hasn't been driven as much. For mobile phones and TVs this is less of a problem - but in a computer user interface many UI elements are quite fixed (toolbars, icons, etc) which means that burn-in is a real problem. There are some technologies to handle this problem - for example by measurement and compensation, and the lifetime of OLED displays is improving all the time. In addition user-interface designers can design a user interface that will be more suited for OLED displays. 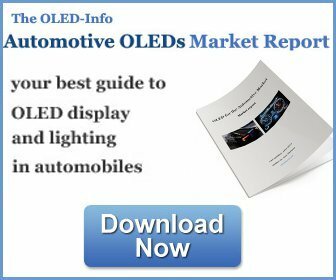 After years of waiting and seeing OLEDs adopted in a wide range of devices such as mobile phones, tablets, TVs and wearables, in early 2016 Dell announced the world's first OLED monitor, the Ultrasharp UP3017Q. This a 30" was supposed to launch in March 2016 for $4,999 - but Dell reportedly scrapped plans for this product. In April 2017, though, Dell brought the UP3017Q back and started shipping it for $3,499. Currently there are no consumer OLED monitors available on the market besides Dell's monitor. 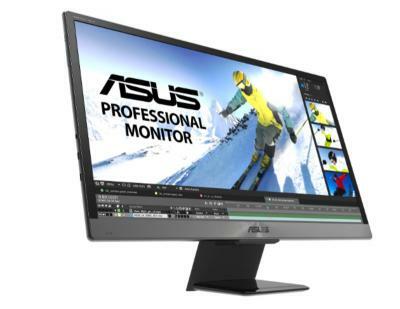 In early 2018 Asus announced another OLED monitor, the ProArt PQ22UC which features a 21.6" 3840x2160 (204 PPI) OLED display. Asus did not yet reveal the price or availability of this OLED monitor, besides saying it will launch by the spring of 2018. For the professional market, Sony is offering several monitors in several sizes (from 7.4" to 30") and in several series. Sony already sold over 15,000 professional OLED monitors, and their latest monitor is the 30" 4K BVM-X300. These are professional monitors, though, aimed for broadcasting and post production applications. 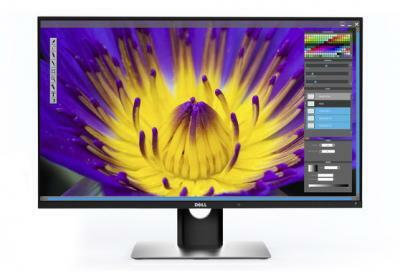 In early 2018 ASUS announced the Asus ProArt PQ22UC- a 21.6" 4K (204 PPI) ultra-portable OLED monitor, and now the company finally started shipping the new device - starting in the UK where the price is set at for £4,529 (!) which would make the US price at around $5,000. In the video you can see all of JOLED's new prototypes. First up is the Automotive demo - JOLED demonstrated two panels, a 12.3" 1920x720 (167 PPI) panel and a 12.2" 1920x1280 (180 PPI) panel. Both are printed on LTPS backplanes (as do the rest of the company's small and medium sized panels). 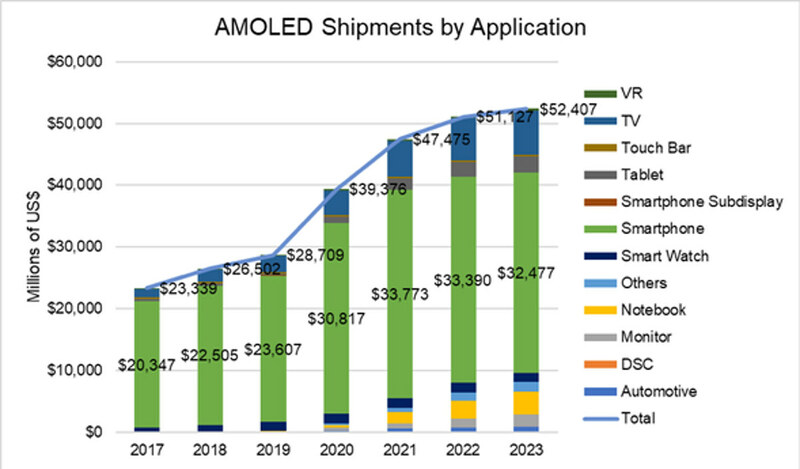 JOLED's latest investors, Denso and Toyoto Tsusho, are both helping the company with its entry into the automotive display market. Japan-based printed OLED developer JOLED demonstrated several new OLED displays at Finetech Japan last week. 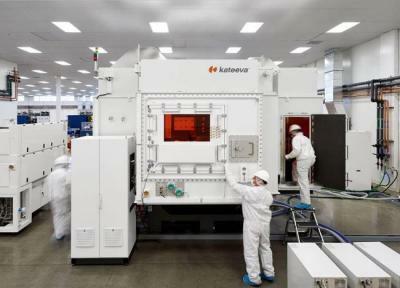 We already posted on these new OLEDs, and now we have photos of the new panels. So first up is JOLED's first OLED TV panel. The 55" 4K (3840x2160, 80 PPI) panel offers a 120Hz refresh rate and a color gamut of 100% DCI (135% sRGB) and is printed on JOLED's Transparent Amorphous Oxide Semiconductor (TAOS) backplane.